Derek acts as the main point of contact at Flaherty & Collins Properties between the internal construction and development team, and all project-related consultants to reinforce project execution to meet and exceed F&C Design Standards. Derek enjoys hiking, cycling, and being active in the Indianapolis social scene. 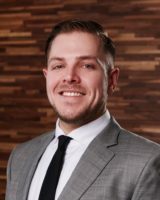 Upon graduation with his Master of Architecture degree from Ball State University in 2013, and obtaining his real estate license soon thereafter, Derek’s interests in the built environment were more specified to the multi-family development market. Having worked on various capacities in the design of multifamily developments, Derek has the proven experience necessary for the complexities of project delivery.